The theme includes an advanced slider management section – you can very easily add and manage the slider images and create as much sliders as you need. 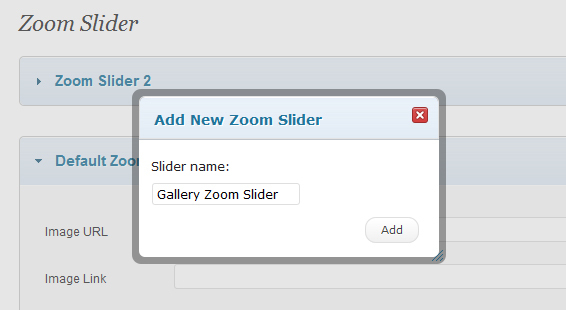 Adding an image to the slider is super easy – just upload the image and set the other data fields as needed. 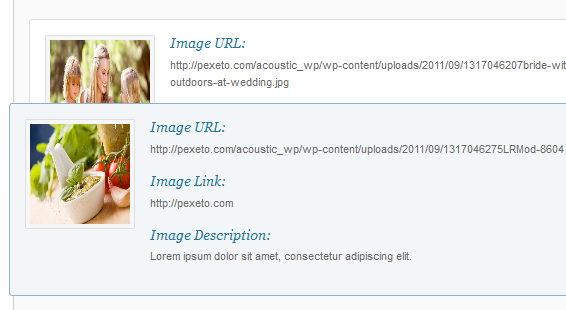 After you add the images you can very easily change their order just by dragging and dropping them. You can create as many sliders as you need containing different image sets and assign the different sliders for the different pages. There are also lots of other settings that you can set to the Nivo slider from the admin panel. There are also lots of other settings that you can set to the Thumbnail slider from the admin panel.